We know we can’t do it alone – your donations support activities that help our clients integrate and thrive. With your continued help, we can ease the adjustment for newcomers, assisting them along the path to self-sufficiency, belonging and achieving their potential. 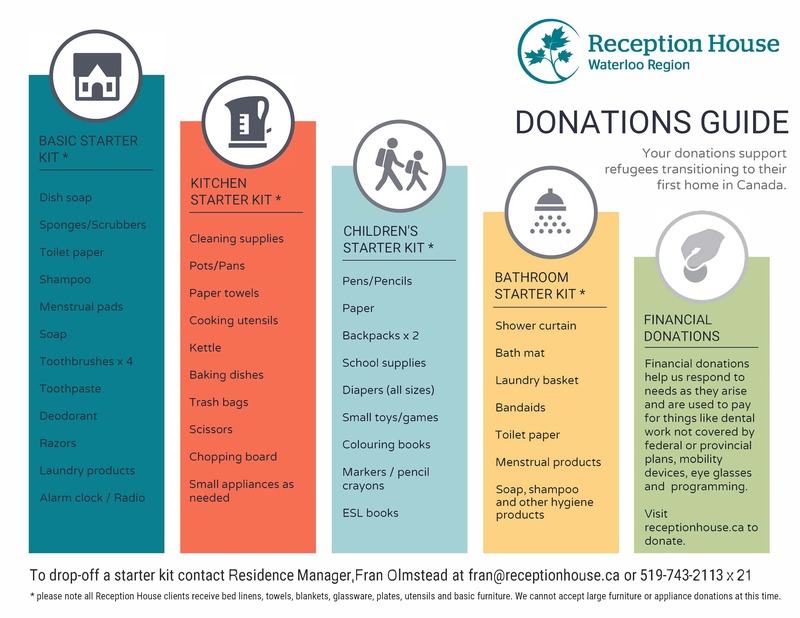 Or, send or drop off a cheque made out to Reception House Waterloo Region at ATTN: Kathie Must, Manager of Fundraising and Donor Relations, 675 Queen St. South, Suite 201, Kitchener,ON N2M 1A1. Together we help create a warm home and a welcoming community for our newest neighbours.